You will surely enjoy owning this home and relaxing on your extended covered patio overlooking your low maintenance private backyard! Popular Sun City Grand Coronado model polished to perfection with Diagonal tile, beautiful French doors to patio, Luxury Kitchen with upgraded cabinets, additional kitchen cabinets, gas cook-top, Island, Murphy bed in den, Garden tub and shower in master bath, Bay window in master, Remodeled guest bathroom, Built-in cabinets & workbench in garage, soft water loop, Hot water re-circulation pump, misting system, vacation mailbox and PVC irrigation system. Air conditioner replaced in was 2011. Backyard Is Flattered By A Private Sanctuary Of Mature Landscaping. 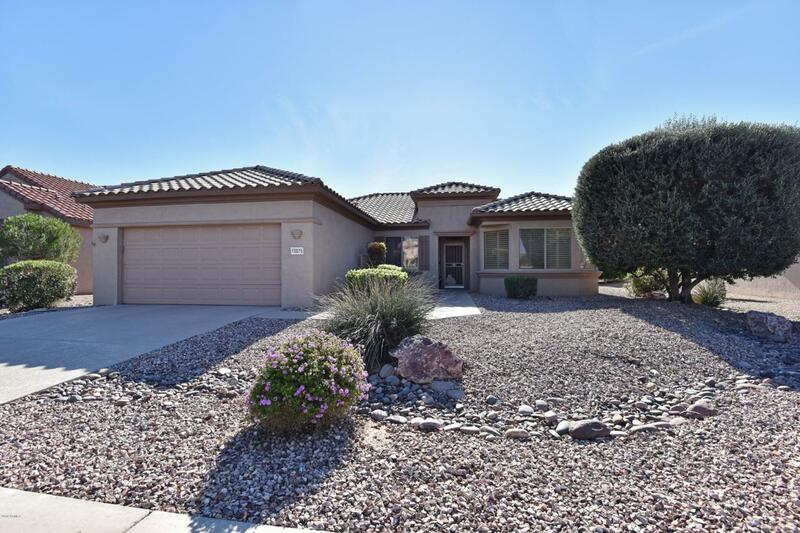 This Home Has It All....Upgrades, Privacy and Sun City Grand! Listing courtesy of Leolinda Realty.